He had chosen a spot on the banks of the White River as the location for his colony when the tragedy at Nauvoo left the Mormon Church without a head. Before the believers had recovered from the paralyzing shock of the death of their leader at the hands of a vindictive mob, Strang was among them, urging them to flee from the wrath to come, and to follow him to the land of promise. Although there were several who desired to wear the mantle of the dead seer, not one was so active and persistent as Strang, though he had been only a few months in the church. And now, behold, my servant, James. J. Strang, hath come to thee from far for truth when he knew it not, and hath not rejected it, but hath faith in thee, the Shepherd and Stone of Israel, and to him shall the gathering of the people be, for he shall plant a stake of Zion in Wisconsin, and I will establish it; and there shall my people have peace and rest, and shall not be moved. . .
And I will have a house built unto me there of stone, and there will I show myself to my people by many mighty works, and the name of the city shall be called Voree, which is, being interpreted, garden of peace, for there shall my people have peace and rest, and wax fat and pleasant in the presence of their enemies. The officers of the church, with Brigham Young at their head, denounced Strang as an impostor and forger. His vigorous and eloquent appeal for recognition had no effect, for "he was cut off from communion with, the faithful, cursed, and delivered to the devil to be buffeted for a thousand years." Undaunted by this anathema, he continued to assert his right and title to leadership, winning to his ranks a small body of devoted followers, who founded at Spring Prairie, Wisconsin, the city of Voree, upon com­munistic principles in regard to the owner­ship of all property. He edited a newspaper, the "Voree Herald," devoted to the dis­semination of the doctrine of the "primitive Mormons," and succeeded in converting many credulous people. He imitated the methods that Joseph Smith had found successful, and originated others. He organized his church in accor­dance with the Book of Mormon, with a council of twelve, seventy elders, and minor officials, with himself, supreme in authority, over all. Like his predecessor, he had vi­sions and revelations, which in moments of ecstasy he communicated to his followers, couched in verbose scriptural language, by which he strengthened his claim to super­natural power. One vision directed him to go with wit­nesses to a certain point on the banks of the White River. These witnesses testified that "they were led by Strang to a hill, where, after digging through thick sward and solid clay, apparently undisturbed for years, and cutting away a network of roots from a large oak, they found an earthen case containing three metallic plates covered with an alpha­betical and pictorial history." The forerunner men shall kill, but a mighty prophet there shall dwell. I will be his strength, and he shall bring forth the record. Record my word and bury it in the hill of promise. Later he claimed to have found fifteen other plates. Such artifices forcibly appealed to the delusion nurtured by Smith's followers, though to outsiders they appeared only weak imitations. Many of you are about to leave the haunts of civilization and of men to go into an unexplored wilderness among savages and in trackless deserts, to seek a home in the wilds where the footprint of the white man is not found. The voice of God has not called you to this. His promise has not gone before to prepare a habitation for you. The hearts of the Lamanites are not turned unto you, and they will not regard you. . . . Let the oppressed flee for safety unto Voree, and let the gath­ering of the people be there. A few obeyed the call and joined the com­munity at Voree, which steadily increased in numbers for three years. Though appa­rently prosperous, Strang was not oblivious to indications which foreshadowed a repetition of the disaster at Nauvoo, and deemed it wise to find a spot where the Gentile in­fluence could not undermine the faith of the Saints, nor bring death and destruction to himself and his people. With this project in view, he went out with several elders to survey the land, with the result that Beaver Island, near the nar­row channel that unites Lakes Huron and Michigan, was chosen. It appeared the ideal spot, as it was sufficiently isolated to promise immunity from the visits of intrusive govern­ment officials, yet near enough to civilization to make possible all necessary traffic. The waters teemed with fish the forests furnished a variety of timber, while the soil was rich and productive. To this land of promise Strang decided to lead his people, where they should flourish "like a green bay-tree." The island was inhabited by less than one thousand Indians of the Ottawa and Chippewa tribes, living upon lands deeded to them by the United States government, and by as many whites. Among the latter the Germans and Swedes were successful tillers of the soil, while a colony of Irish, who were strict Catholics, earned an honest livelihood by fishing. The small band of pioneers from Voree were received by the fisher-folk most ungraciously. So inhospitable were they that the newcomers were obliged to build huts of boughs for shelter, and subsist on berries, nuts, wild leeks, and other native produc­tions while preparing for the establishment of a colony. The winter of 1847 five Mor­mon families spent upon the island. 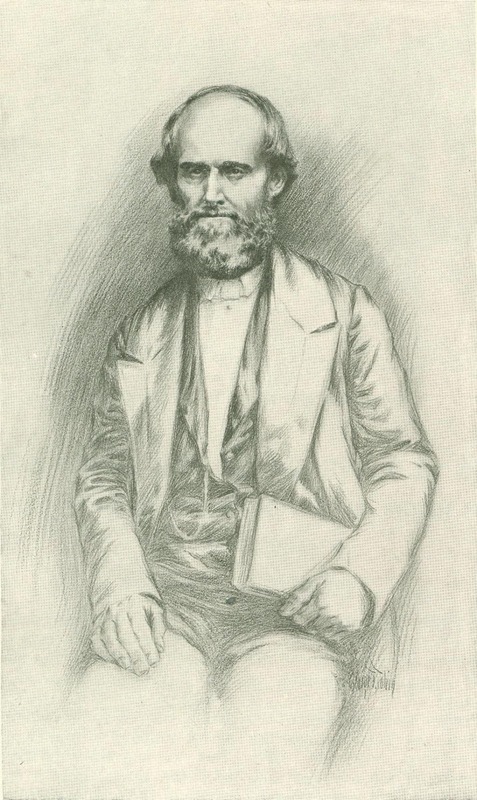 The numbers rapidly increased as the Voree colonists arrived, and the elders returned from their missionary pilgrimages, bring­ing in many converts, so that in 1850 they numbered three thousand men, women, and children. The plates which Strang claimed to have found were given equal authority with the Scriptures and the Mormon Bible. Some por­tions of the revelations dealt with questions of domestic economy and municipal control; there were also directions for making roads, building houses, etc. In accordance with these, houses were built, a wharf and a saw­mill were constructed, roads were cleared, and a large tabernacle was begun. The land­locked harbor and village were named St. James, in honor of Strang; the height in the interior became Mount Pisgah; an inland lake was known as the Sea of Galilee, and its outlet as the river Jordan. At first the Mormons had adopted the policy of non-resistance, receiving in an ap­parent spirit of meekness the insults and injuries to which they were subjected; but as they gained in strength they began to retaliate, and many fierce conflicts resulted, in which they were the aggressors. Strang had been shrewd enough to maintain friendly relations with the Indians, but he never suc­ceeded in establishing peaceful relations with the Irish. His control over his own people was wonderful; few ever attempted to resist his authority, while the majority had such implicit faith in his supernatural power that he ruled them absolutely. One who lived upon the island—in fact, a member of the last Gentile family to leave it—described him to the writer as a rather handsome man, tall and slender, with pleas­ing features and high forehead; his hair and beard were sandy and were worn long; his blue eyes, sometimes mild and tender, held in their depths the glint of steel, which com­pelled obedience to his masterful will; he was intellectual, gifted in speech, agreeable in manner, and very companionable. All this was confirmed by a physician of Mackinac Island, who knew him well and appreciated his intellectual gifts. He spoke particularly of his ability as an editor; that the "North­ern Islander," issued first as a weekly, later as a daily, was "a marvel of journalistic enterprise, which could not be excelled today in any frontier town." Early in the year 1850 Strang published a pamphlet with the following title-page: "The Book of the Law of the Lord, consisting of an inspired translation of some of the most important parts of the law given to Moses, and a very few additional commandments, with brief notes and references. Printed by command of the King at the Royal Press, St. James, A. R. I." God hath chosen His servant James to be king: He hath made him His apostle to all nations; He hath established Him a prophet above the kings of the earth and appointed him king in Zion: By his voice did He call him, and He sent His angels to ordain him. In pursuance of this scheme for gratifying his ambition, Strang appointed the 8th of July for his coronation. The rage of the islanders and their friends on the mainland was so great that they made a strenuous effort to prevent the execution of the design. They planned to fall upon the offenders on July 4, while they were gathered in the tab­ernacle, and drive them from the island. Strang learned of the plot, and with char­acteristic energy counterplotted so success­fully that the invaders were glad to retire, leaving their enemies unharmed. Affirming that he was divinely called to the kingship, the preparations for the coro­nation continued. Strang, clothed in a flowing robe of scarlet, accompanied by his council, marched to a platform erected in the center of the unfinished tabernacle; the seventy elders and priests followed, the con­gregation filling the body of the house. After an elaborate ceremonial, a plain circle of gold with a cluster of stars in the front was placed upon the head of the prophet, and he received the adulations of the assembly, who greeted him as their king. The communistic plan was abandoned, and the lands were apportioned among the members. A system of tithes was introduced, by which the taxes were paid, provision was made for the poor, and schools were established. Additional prohibitory laws were framed against the use of tea, coffee, and tobacco, as well as intoxicating liquors. Saturday was to be observed as the Sabbath, and attendance at the tabernacle was compulsory. Polygamy, which had been sanctioned, provided ability to support a large family was shown, was now recommended, the elders being strongly urged to take more than one wife. The women were obliged to wear the short skirt and wide trousers of the "bloomer" costume, made of dark-blue calico. The hatred of the outsiders kept pace with Strang's increase of power. The Mormons grew bolder in their depredations; the nets of the fishermen were destroyed, their boats sunk, and boats laden with supplies stolen and held under the pretext that they were found. Complaints to the authorities were unnoticed until graver charges were made. The self-consecrated king was accused of treason and polygamy, and his subjects of trespass, robbing the mails, theft, harboring counterfeiters and criminals from justice; some even dared to say that ships were lured to destruction upon the rocks near Beaver Island, and that the wreckers there were as merciless as those that once made the name of Florida Reef a terror. Aroused at last, in 1851 President Fillmore dispatched the United States steamer Michigan to the island kingdom to arrest its king on the charge of treason. He was carried to Detroit, where twelve indictments were found against him. He conducted his own defense with ability; his oratorical gift, mag­netic personality, ingenious pleas, and scriptural knowledge were all brought to bear upon the jury. His closing argument, in which he posed as one "persecuted for right­eousness' sake," was masterly, and brought about a verdict of acquittal. He returned in triumph to his kingdom, more devoted to its interests and ambitious for his own advancement. The quarrels be­tween the Mormons and the Gentiles in­creased, and the newspapers took up the controversy. Strang's busy pen was employed in defending the doctrines and practices of his people. He wrote much and upon a va­riety of subjects; he was greatly interested in natural history, and possessed a library which permitted him to gratify his love for miscellaneous reading, as in literature he sought relief from the vexations of rulers. As an evidence of his diplomacy, he se­cured his election to the State legislature of Michigan, and, later, the passage of a bill by which the Beaver, Fox, and Manitou islands were united to form the county of Manitou. This placed under his control the entire machinery of the law. From that day it fared ill with a Gentile who had offended a Mormon; as sheriff, jury, and judge were of that faith, the accused was invariably convicted by a process apparently legal. With the passing years Strang increased the severity of his discipline, but when he introduced the corporal punishment of adults great dissatisfaction resulted. This, with his systematic efforts to force polygamy upon his people, caused internal dissension, which resulted in his ruin. He delighted to talk of "Solomon and his thousand wives," and followed his example to the extent of having five; but he never succeeded in making plural marriages popular, for though several of his elders had three each, there were only fifteen others who were not content with one wife. At the annual conference in 1855 he sternly denounced those who failed to obey the rules he had made, who used tobacco or any bever­age other than water, saying, "The law of GOD shall be kept in this land, or men shall walk over my dead body." Among his disciples was an ex-surgeon of the United States army, highly educated, and a man of social position in his Baltimore home, but unfortunate in his habits. During the winter of 1855-56 he was deposed from the Mormon Church on the charge of a lapse into intemperance. He soon left the island and visited the lake ports, arousing the indignant people to new enthusiasm for the overthrow of Strang and his kingdom. The details of the plot were never fully known, but two Mormons were found ready to take summary vengeance. One of these had been publicly horsewhipped for daring to sanction his wife's refusal to adopt the regulation costume, and the second had received a similar chastisement for the infringement of one of the rules against dissipation. On June 16, 1856, as Strang went toward the pier to call upon the officers of the Michigan, anchored in the harbor, the two men, Bedford and Wentworth, sprang from places of concealment, and fired upon him. He fell with three wounds; two were slight, but the third, in the region of the spine, was pro­nounced fatal. The men surrendered, and were taken to Mackinaw, but were released without trial. They claimed, in justification of their act, that many causes for grievance existed, not to be righted by legal means so long as the United States government up­held the "prophet." Strang sent for his elders, and advised the removal of the colony to Voree, where he was himself borne, as to "a city of refuge." For his few remaining days he received the devoted care of the wife of his youth, who had declined to accept his inspirations and revelations, but believed that her marriage vow demanded faithfulness unto death. He died without one expression of regret, and his body was laid in an unmarked grave in the "Cemetery of the Saints" at Spring Prairie. The assassination of the leader was fol­lowed by the annihilation of the kingdom. Before the Mormons could arrange for their departure for Voree, a band of exasperated men from the mainland joined the islanders, and fell with fury upon the doomed settle­ment. The printing-office was first attacked; the house of the king was pillaged, his library scattered, and then, with the tabernacle, his house went up in flame; after which the ax and torch were used, indiscriminately. Later, many of the homesteads were seized and occupied by those who had long suffered from the depredations of the Saints. Hundreds of deluded victims, penniless and homeless, were driven into exile.